"Be not afraid to denounce injustice, though you may be outnumbered. Be not afraid to seek peace, even if your voice may be small. Be not afraid to demand peace." When Liberian president Ellen Johnson Sirleaf issued this heartfelt call to action in accepting the Nobel Peace Prize, her words struck a chord among many of us working in international development -- even among those who had begun to adopt, after years in the field, a certain kind of worn-down, world-weary cynicism. Considered alongside priorities such as food security; clean, accessible water; and affordable, sustainable energy, Goal 16 of the UN Sustainable Development Goals puts a spotlight on concepts that might seem awfully abstract -- and utterly unrealistic, if you ask some. "Promote just, peaceful, and inclusive societies" -- how exactly are we to go about checking that off our global to-do list? Yet as President Sirleaf reminded us, peace and justice begin with individual courage and commitment. Peace and justice begin, as another fierce human-rights champion, Eleanor Roosevelt, famously said, "in small places, close to home." At the Peace Corps, that's the belief that has inspired the work of almost a quarter million Volunteers in more than 140 countries since our agency's founding nearly 55 years ago. Ours is a very different era than the one in which Peace Corps began -- which is why you'll find that today's innovative, tech-savvy Peace Corps certainly isn't your parents' Peace Corps, even as we remain dedicated to our founders' timeless mission. But whether Peace Corps Volunteers are fighting malaria, helping girls access higher education, or bringing communities together to address climate change, their work -- and the work of thousands of other international volunteers from organizations such as Voluntary Service Overseas, Korea International Cooperation Agency, Japan International Cooperation Agency, and United Nations Volunteers -- continues to play a crucial role in addressing the world's most pressing development challenges and creating conditions for peace. Peace Corps Volunteers make a difference at the grassroots level, living and working shoulder-to-shoulder with the communities they serve, in areas such as education, health and economic development. By working together, Volunteers and communities build close personal relationships that bridge differences in culture, nationality and circumstance -- and inspire pathways to peace, justice and inclusivity, sometimes in ways that you might not expect. I think about Peace Corps Volunteers like Alex Munoz, whom I met recently on a field visit to Ecuador. I met Alex in a warehouse in Quito -- a small, tin-roof structure underneath a highway, surrounded by a chain-link fence. The women who work in this warehouse call themselves the Recycling Association Buena Esperanza de Pichincha. They sort through trash throughout Quito to salvage anything that is recyclable -- plastic, cardboard, metal. They bring it back here to the warehouse to clean, process and sell. Many are single moms, and they have no other means of income besides this work. It's hard work -- work that calls for these tiny Andean women to haul around 80-kilo bundles of recyclables. But it isn't just the physical conditions that have made the work hard. Before Alex arrived, the women competed against one another for the most lucrative dumpsters. They rarely spoke to one another. Then Alex came, as the women told me, and everything began to change. Alex showed them that, if they worked together, they could sell their stock in volume, and set higher asking prices. They began to pool their resources so they could buy a compacter, which enables them to fetch a higher price for their plastics. And Alex helped them form a recycling association that has been recognized by the municipality. Now, they say, they are proud of their work. Their children look up to them; the city supports them; and the shop owners respect them. And they are grateful to Alex, for helping them see that they, too, can be leaders in their community. "Before, we were scavengers," the women said. "Now, we are recyclers, keeping Quito green and healthy." If you glance at the news headlines, a more just, inclusive and peaceful world might seem like little more than a pipe dream. But in the stories of Peace Corps Volunteers, what we find are stories about hope. They show what is possible when willing communities and passionate, dedicated, hardworking men and women come together, side-by-side, shoulder-to-shoulder, to work toward a better future in this world that we share. A few weeks ago, President Sirleaf joined Liberian officials and Peace Corps leaders in dedicating a new headquarters for Peace Corps Liberia. 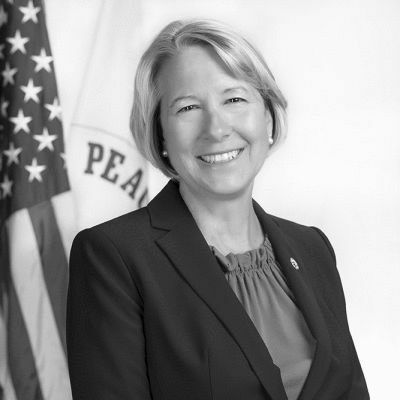 She credits Peace Corps Volunteers for helping her country train hundreds of future educators, health practitioners and community leaders in its post-conflict era. 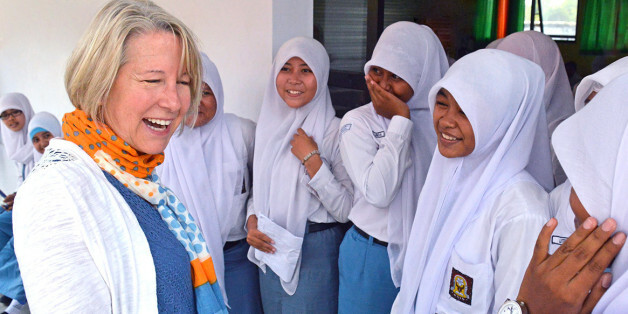 "We owe the Peace Corps a debt of gratitude for starting to focus on literacy and for working on food security," she said. That debt, I'd like to tell her, is shared -- on our part, for the opportunity to work together, to learn from one another, to inspire and be inspired by the peacemakers among us. This post is part of a series produced by The Huffington Post, "What's Working: Sustainable Development Goals," in conjunction with the United Nations' Sustainable Development Goals (SDGs). The proposed set of milestones will be the subject of discussion at the UN General Assembly meeting on Sept. 25-27, 2015 in New York. The goals, which will replace the UN's Millennium Development Goals (2000-2015), cover 17 key areas of development -- including poverty, hunger, health, education, and gender equality, among many others. As part of The Huffington Post's commitment to solutions-oriented journalism, this What's Working SDG blog series will focus on one goal every weekday in September. This post addresses Goal 16.